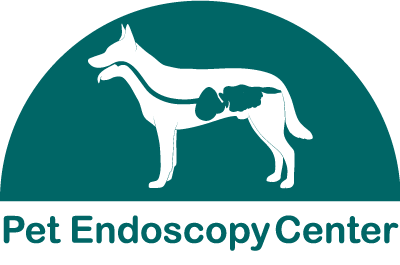 What Is A Veterinary Endoscope? A veterinary endoscope is a medical instrument used for visual examination of the interior of a body cavity or a hollow organ such as the colon, bladder, or stomach. It is a rigid or flexible tube, fitted with lenses (camera), a fiber-optic light source, and often a probe, forceps, suction device, or other apparatus for examination or retrieval of tissue. What Can We Do With A Veterinary Endoscope? With a veterinary endoscope, we are able to surgically view and treat areas that we otherwise might not be able to get to and with a much smaller incision. Because we are able to make a much smaller incision and combine the veterinary endoscope with the technologies of our veterinary video otoscope and our veterinary laser, we are able to offer our patients more accurate and less invasive surgeries and biopsies; and much happier pets! Use for all animals including Avians and Exotics.